Of happy time spend so long ago. 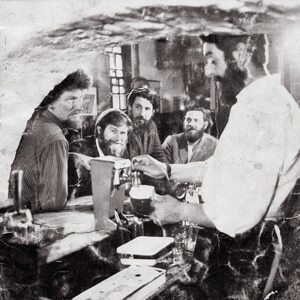 The Dubliners was an Irish folk band founded in Dublin, Ireland, in 1962. One of the most influential Irish acts of the 20th century, they celebrated 50 years together in 2012, making them Ireland's longest surviving musical act. Also in 2012, the BBC Radio 2 Folk Awards bestowed them with a Lifetime Achievement Award. The group announced their retirement in the autumn of 2012 following the death of founding member Barney McKenna (born 16 December 1939; died 5 April 2012).